Ballroom dancing started as a more of a way young people went to social gatherings to meet their wives our husbands in Europe and America.This is the reason ballroom dancing involves male and female dancing in close proximity throughout the dance floor, but It is amazing to know that the history of ballroom dancing started off with a group of people doing movements of dancing in lines and circles individually around a specific hall as opposed to couples or partners. The reason for the movement in circles was because the halls for dancing had was called a hearth in the center which then played a huge role in restricting movements on the dance floor as dance had to dance around. It was only after modernization whereby fireplaces came in to being that the space on the dance floor was non-restrictive. 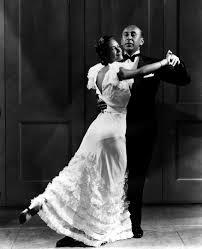 Ballroom dance then evolved into different types of dancing styles through the society becoming modernized. 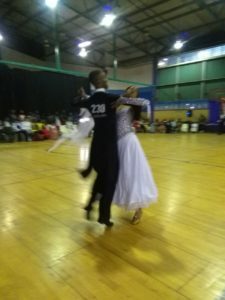 Now the ballroom dance space has become a sport and also a social aspect to many people. In the 17th and 19th Century France was where most ballroom styles came from. An example is the Polka which was developed from a dance that was called a Bohemian folk in the 19th Century. However the Waltz was considered the dance that revolutionized ballroom dancing. This was because Waltz introduced the concept of couples dancing smoothly together across the floor. The Waltz was considered to be developed in the Victorian era. It is funny to note that at the time this dance was considered shocking when it came into being. 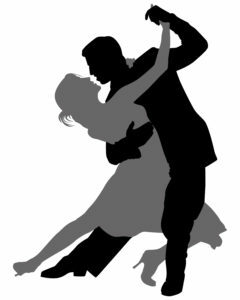 But the smooth floors assisted its development.After the waltz other ballroom dance types were developed in the 20th Century. The Tango was developed from tow types or dance styles. The styles were the Spanish type and the other was the Argentinian type. Prior to the World War one the Tango was enhanced.